Working on your behalf, your Hallandale Personal Injury Attorney is there to offer counsel following an accident that results in your injury. 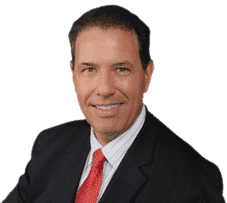 Robert E. Gluck has been practicing law since 1989 and is dedicated to using his vast knowledge to provide top legal guidance and representation for your case. When hiring your Hallandale Personal Injury Attorney, realize that the right attorney is extremely important to the success of your case. Your attorney should listen to your concerns and details of your accident in order to properly represent your case. Robert E. Gluck has been a steadfast advocate for his client's rights. Working to prove that negligence existed and your recovery should be the responsibility of the at fault party, Robert E. Gluck will gather evidence to support and protect your interests. As your Hallandale Personal Injury Attorney, he will speak on your behalf when negotiating with your insurance company. Robert E. Gluck is there as your Hallandale Personal Injury Attorney and will advise you through this process. He has the skills and experience necessary to work to your benefit if you have been involved in an accident that was the fault of another. Call Robert E. Gluck today for your free no-cost consultation.